I hope everyone enjoyed my short brief explanation of bok choy the other day. I’ve got another recipe for you to try out! This one tastes very “vegetable-y”…that’s the only way I know how to explain it. But, I found it very tastey! 2. Spray a cookie sheet with non stick cooking spray. 3. 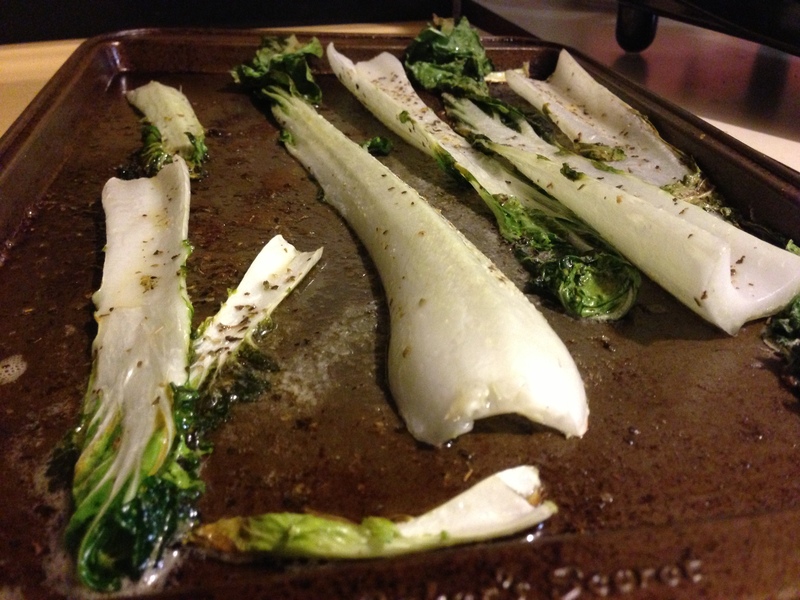 Lay out the pieces of bok choy and drizzle with EVOO. 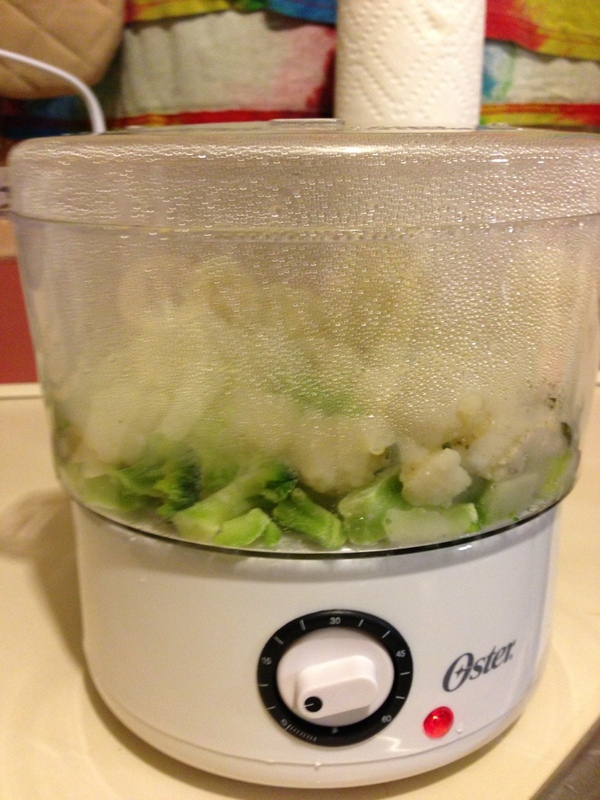 Use a kitchen brush to evenly spread the bok choy with the EVOO on BOTH sides. 4. On one side, season with the Italian seasoning and garlic salt. Repeat on opposite side. 5. 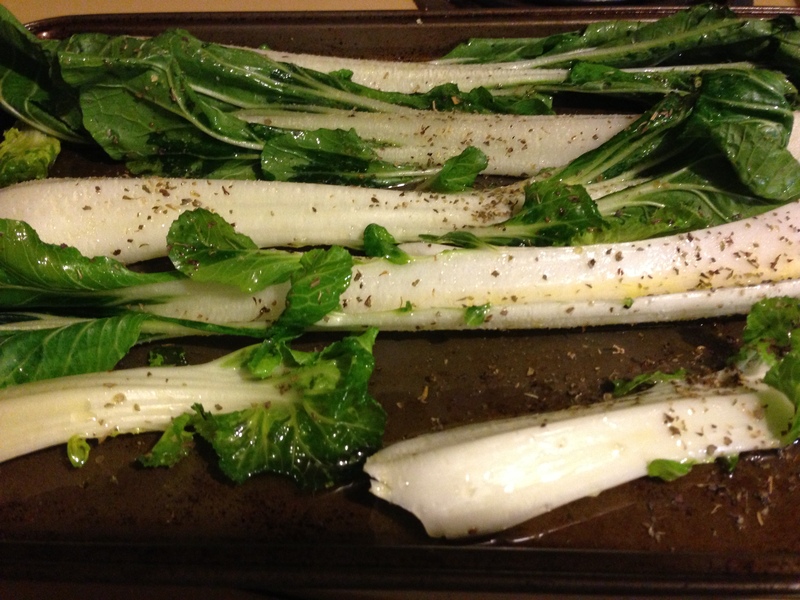 Before placing in oven, use the juice of one lemon on top of the bok choy. 6. 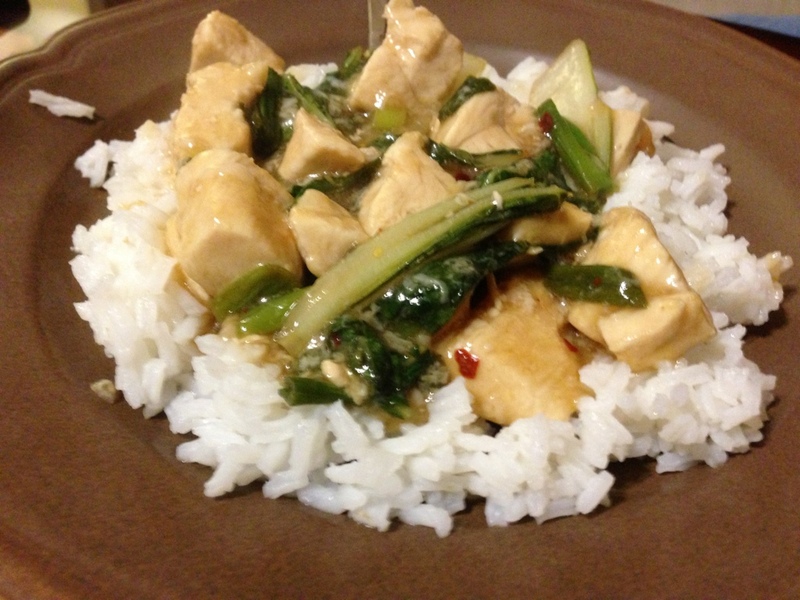 Allow to cook for about 6 minutes, until the greens of the bok choy are wilted. I can almost guarantee that 95% of grocery shoppers walk by the fresh produce isle look at bok choy and think “now what in the world is that?” and keep on walking. No worries my friends, I’ve come here to enlighten you on bok choy and all of its awesomness. So, next time you are walking with your friend down the isle at the grocery store and they say “what in the world is that,” you can use your totally awesome new knowledge to school them on bok choy. Don’t worry, you don’t have to thank me – just be eternally grateful that you stumbled upon this blog post. Bok choy is a white cabbage, mainly used in Chinese dishes (soups, stir-fries and appetizers). Many refer to it as the Chinese cabbage or white cabbage, because it is just that…a cabbage plant, white of color, and is used in many Chinese dishes. 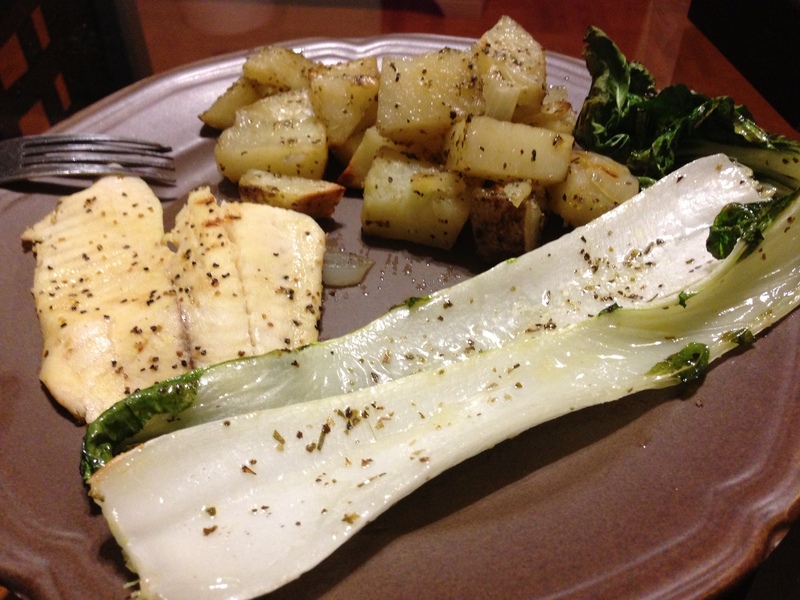 The bottom part of the cabbage resembles celery, and the leaves look similar to Romaine lettuce. They say it has a mildly spicy flavor, but I don’t know if I believe them. It is full of vitamins A and C and when you are looking to buy some, you should look for one that is evenly colored, crisp leaves, and no soft spots (little brown spots on the leaves). It has a high water content, so it will turn limp really quickly – so, most of the time it is best to add it in at the end. If you ever wondered what that zesty crunch and flavor is in Chinese dishes (usually cut in long strings), it is non other that bok choy! My favorite way to cook it is with celery, cut into long strings to mimic the looks of noodles and make a Chinese noodle dish! You can go here and here to learn more about bok choy. 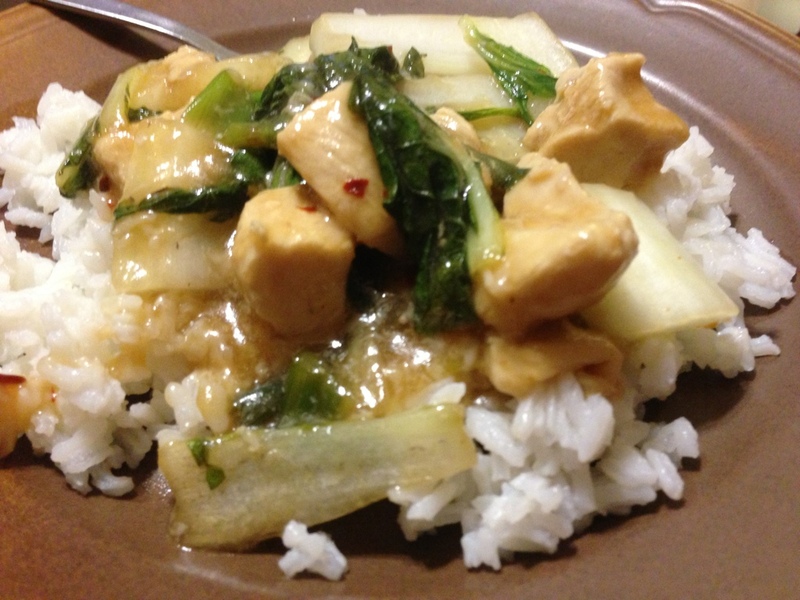 Now that we are done with all that bok choy info mumbo jumbo, here is a bok choy recipe! This is so deliciously good, and you might not even realize that you are eating it in the comfort of your home – you might envision yourself in your favorite Chinese restaurant! 2. Combine egg white, 1 tablespoon cornstarch, 2 teaspoons rice wine vinegar, and 1/4 teaspoon salt in a medium bowl. Stir until cornstarch is totally dissolved and no clumps are visible. Add in the chicken, and mix until the chicken is covered. Marinate in the fridge, uncovered, for about 30 minutes (your whole meal won’t be ruined if it isn’t that long). 3. Meanwhile, combine broth, soy sauce, 1/2 teaspoon cornstarch, and 2 tablespoons rice wine vinegar in a small bowl. 4. Bring water to a boil in a saucepan (about halfway filled with water). Add 1 tablespoon oil and one the water is boiling, turn the heat to medium-low. Carefully add in the chicken and gently stir so it doesn’t clump together. Cook until the chicken is cooked through, but be careful because if you cook it too long it will become chewy. 4. Once the chicken is cooked, drain the chicken in a colander. 5. Heat a pan (or wok) on medium heat and add some EVOO. Then add the scallions, ginger, and crushed red pepper and stir fry for about 20 seconds. Add bok choy and salt and stir fry until it is almost crisp-tender (1 to 2 minutes). Add the chicken and the sauce that we created earlier with broth and soy sauce (make sure to stir it up before you put it in, so it isn’t clumpy). Cook another 2 to 3 minutes. 5. Serve on top of rice and enjoy! This might not be foreign to some, but it is very foreign around these parts. Velveeta is used for everything around here – cheese sauce, cheese dip, cheese burgers, cheese soup – if it has cheese in it, they put Velveeta in it. 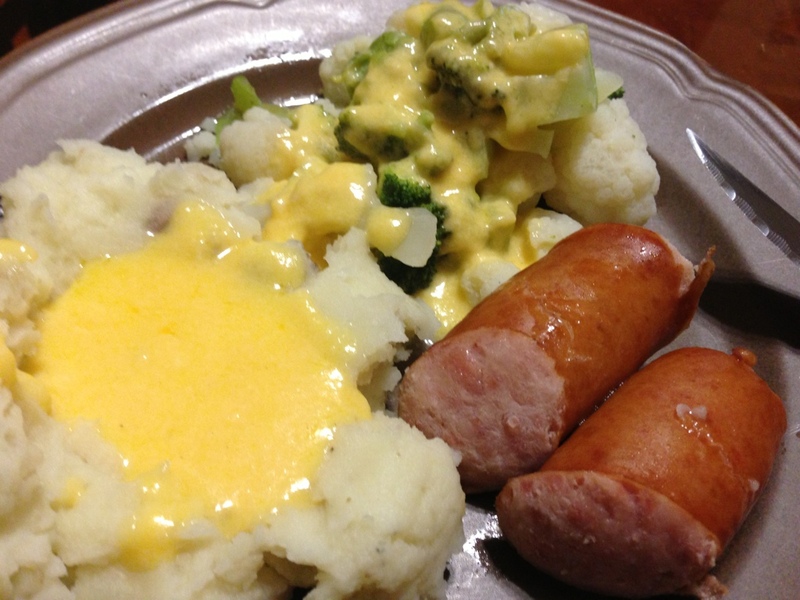 One of my fiancee’s favorite dishes is steamed vegetables, mashed potatoes, polska kielbasa all covered in Velveeta cheese sauce. 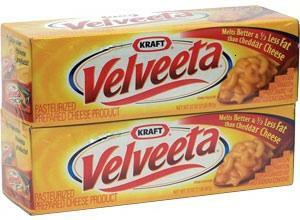 Well, as a matter of fact, Velveeta is kind of expensive. Even the fake Velveeta is kind of expensive, and I really wanted to eat this dish (and I got a cool new steamer for Christmas, and I wanted to try it out). So, I found a way to use the shredded cheese I have in my fridge to make a cheese sauce. The fiancee decided it isn’t as good as Velveeta cheese sauce, but it will do. 1. Melt the butter on low. Don’t turn it up high, because that’s when cheese starts to burn (not melt). 2. Once the butter is COMPLETELY melted, add in 1/4 cup of milk. Turn to medium heat, and bring to a boil. 3. Once the mixture has begun to boil, turn back down to low and slowly add in the cheese. Stir constantly, until there are no longer clumps. Sorry the picture might make your mouth water because it looks so delicious, and I didn’t exactly explain how to make that dish. But, cheese sauce just doesn’t look very exciting in a pan. The dish is really easy, just some steamed vegetables, polska kielbasa cooked in some boiling water, and mashed potatoes. When we have a family get together, no one says “well I’ll make the bread.” Someone always forgets to bring the rolls, and they are always just the plain butter rolls that you throw into the oven for 7 minutes and eat…and not to mention, these 7 minute rolls always end up forgotten, and burnt. So, this year I was determined to have good bread! I found this wonderfully easy recipe on Pinterest (by Crumbs and Chaos), and added it to my “What-I-Want-To-Make” Wednesday post. I’m happy to say, I made it! It was so delicious. My aunt was convinced that it was a copy cat Red Lobster recipe, but I will let you be the judge of that. 2. Lightly grease a 2 – 12 cup muffin tin with cooking spray. 3. Cut each biscuit into quarters and place into a bowl. 4. Combine butter, garlic, parsley and 1/4 cup of permesan cheese. Pour over biscuits. 5. Place 3-4 pieces in each muffin tin (remember, these will expand so don’t put too many in there). 6. Sprinkle with additional permesan cheese. 7. Bake 12-14 minutes or until golden. To keep mine warm on the way to my family’s house, I wrapped them in tin foil, placed them in a towel in a bowl. I then covered them up again with another towel. They actually stayed considerably warm for about an hour.